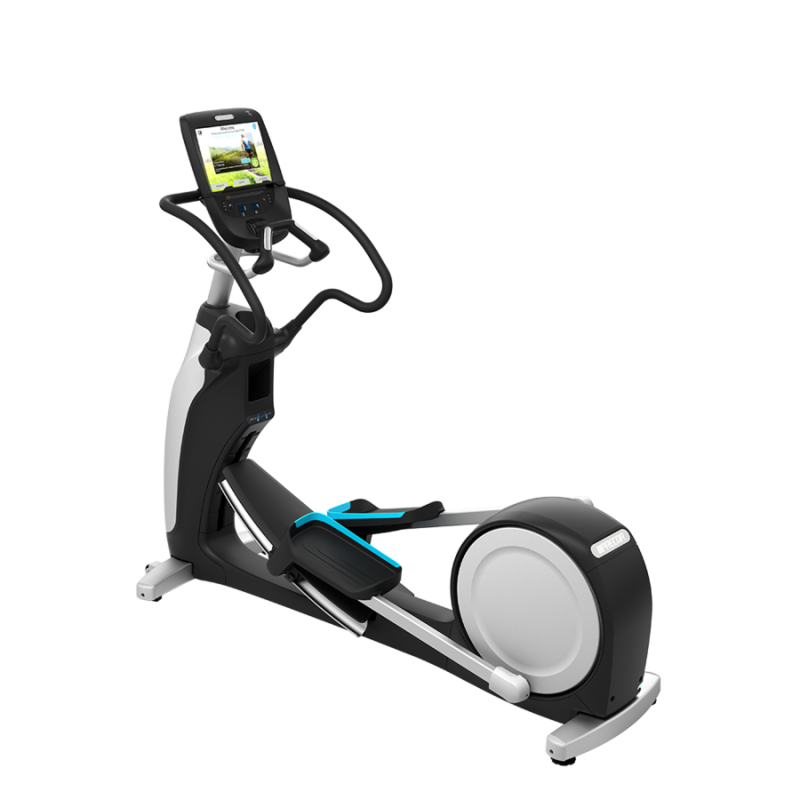 The EFX® 883 with Converging CrossRamp® combines reliability with a natural converging stride path to give you the perfect elliptical for your facility. 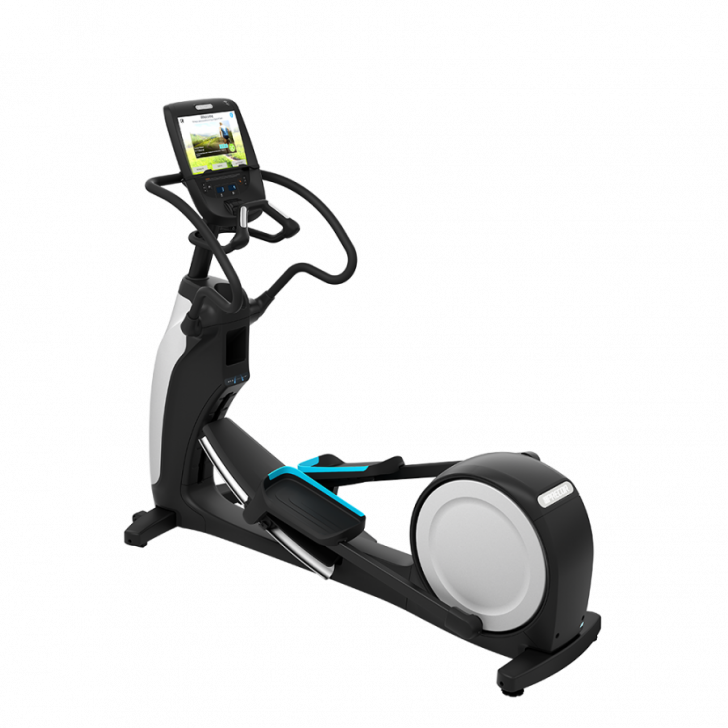 The EFX® 883 with Converging CrossRamp® combines reliability with a natural converging stride path to give you the perfect elliptical for your facility. Carrying on the tradition of Precor reliability and service, the EFX is easy to clean and maintain with a covered ramp and rear drive housing, and the Active Status Light™ - all to improve your owernship experience. 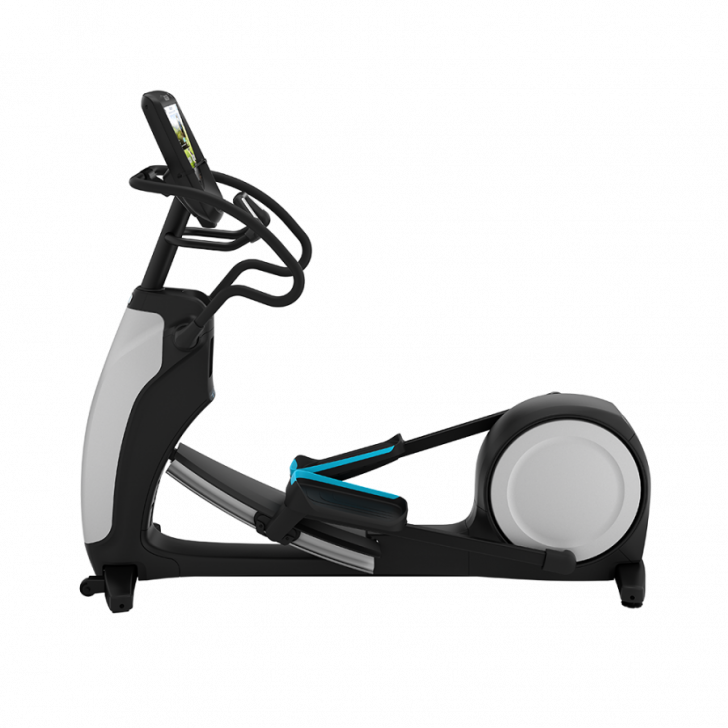 For exercisers, the EFX 885 combines the benefits of our patented CrossRamp® technology and moving handlebars for a total-body workout. The adjustable CrossRamp® technology offers ramp inclines from 10 to 35 degrees to target different muscle groups for more workout variety. 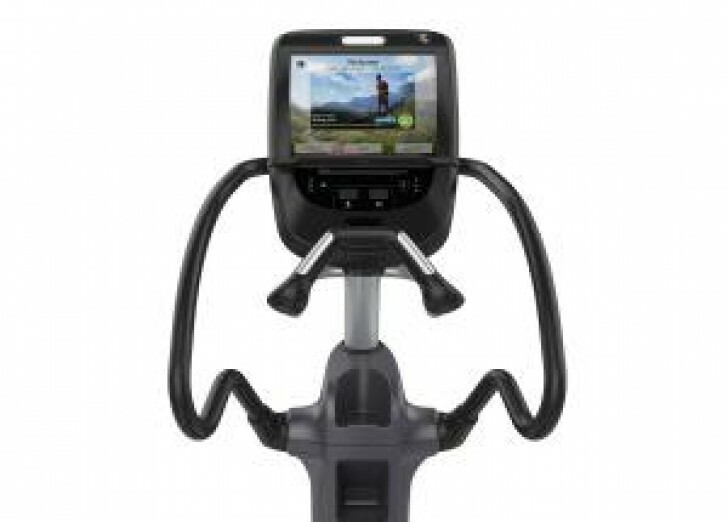 Entertainment	 Reading Rack, Standard, Personal Viewing System (PVS), Integrated Personal Viewing Screen (PVS) (Specification), Closed Caption, 15in / 38.1 cm LCD Capacitive Touch Screen Supports NSTB, PAL, PAL BG Standards, Closed Caption, iPod® / iPhone® Compatible Integrated. Feedback	 Resistance Level, CrossRamp Level, Total Distance, Distance Remaining, Total Calories Burned, Calories/Min, Calories/Hr, Mets, Watts, Time Elapsed, Time Remaining, Time in HR Zone, Segment Time, Strides/Min, Average Strides/Min, Total Strides, Heart Rate, Average Heart Rate, Max Heart Rate. Incline Levels	 10-35°, CrossRamp® technology, provides 20 different settings (13-40 degree ramp incline) for users to target different muscle groups. Ideal for all age and fitness levels. console	 The 880 line console not only offers a brillant 15" screen that is ergonomically positioned to delivery crystal clear entertainment viewing for exercisers in motion, but when networked is also a direct-to-exerciser communication portal allowing you an opportnity to build your brand, share information about activities and services, and strengthen the sense of community within your facility. Warranty	 Frame: 7 years, Motor: 5 years, Parts: 2 years, Screen: 2 years, Labor: 1 year.